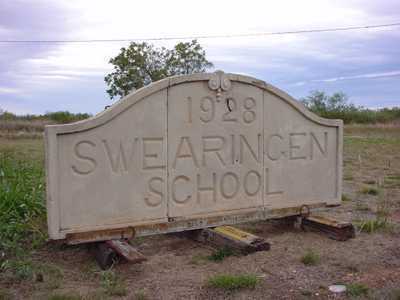 Named for ranch owner D. D. Swearingen, the town come into being around 1908 as headquarters for the OX Ranch. A post office went into operation in 1898 and the postmaster George W. Hare bought most of the lots put up for sale. 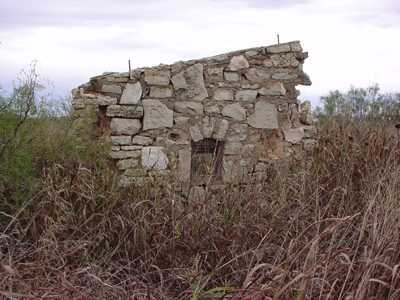 He then established a drugstore, figuring to capture the Ranch trade. His plan paid off and both Hare and the town prospered. By 1911 Swearingen had the post office, a bank, a livery, a hardware store, a lumberyard, several stores and a hotel. A school shared space with a church until a separate schoolhouse could be built (1913). That year was a busy one for the town. 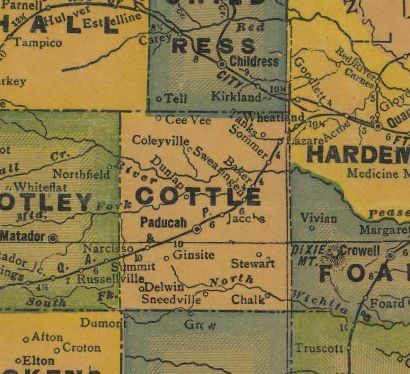 It became a shipping point on the new Quanah, Acme and Pacific Railroad and suffered two considerable fires. 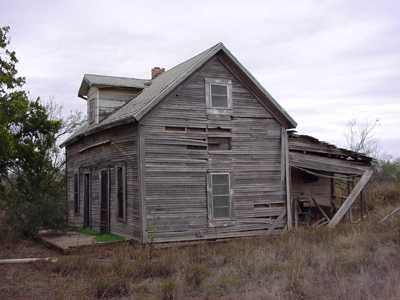 The OX Ranch desolved in 1930 and the town declined in kind. By 1940 there was only one business to serve the remaining 115 people who lived there. The post office closed in 1954 and by 1970 only a few houses remained. 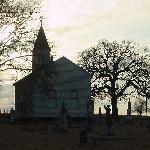 A cemetery remains and is shown on detailed county maps, although it appears with no name.